IEC was the first company to make Laminated yoke DC Motors popular in India. IEC offers DC Motors of Open type, Totally enclosed, Heat exchanger (Air & Water); Foot or Flange mouted machines; Class F/H Insulation; Single/ Double shaft extensions, with accessories like TG mounting, Filters, Protections for windings and Bearing, Space heaters, etc. Only a few companies in the world boast IEC's range of standard DC Motors in frame sizes 80-900 with output torques ranging from 1.2 N-m to 162000 N-m and with output powers ranging from 0.37 KW to 2600 KW. 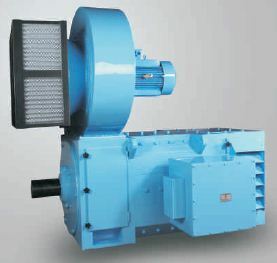 IEC produces a full range of AISE and IPSS series motors used for auxiliary drives in Steel Mills. IEC also produces different DC Motors for use in Indian Railways.